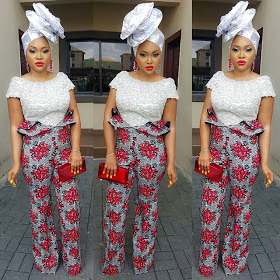 CHECHESMITHNATION : Mercy Aigbe Gentry Goes So Chic In-style Rocking A Fabulous Trado-Wear! Mercy Aigbe Gentry Goes So Chic In-style Rocking A Fabulous Trado-Wear! 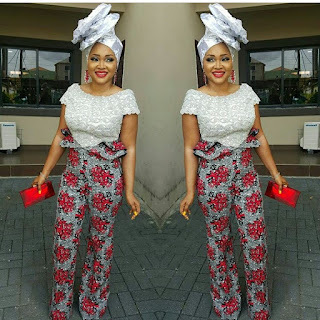 The pretty actress and fashionista, rocked this outfit featuring a lacy top and Ankara print down, paired with a stylish Gele for a friends Owanbe party today.You like? Wow! She's always on point..... Nice outfit.....I love her style.